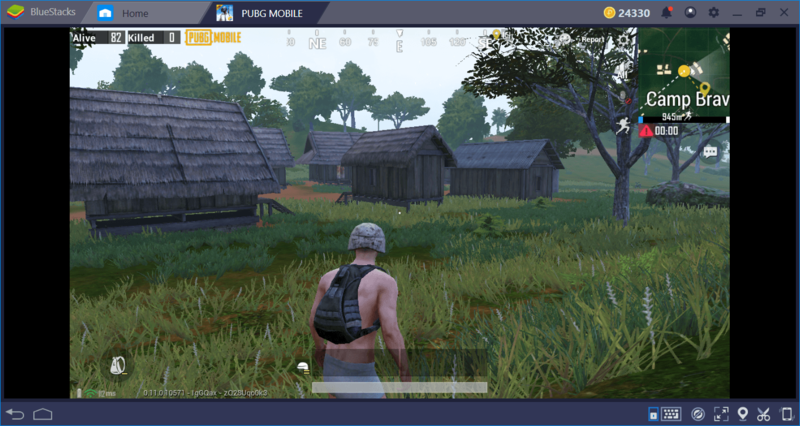 Sanhok is one of the latest maps of PUBG Mobile, and it is also a small one, only 4×4 big. This means it offers intense combat and quicker action compared to other maps and requires different strategies. 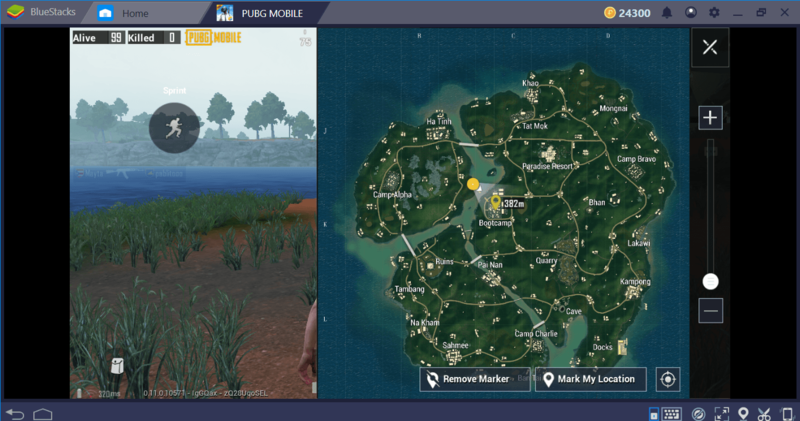 Sanhok is actually three “mini-islands” that are divided by two big canals, and its weather is constantly changing. All of these create lots of opportunities for ambushes, so you have to be extra careful in here. 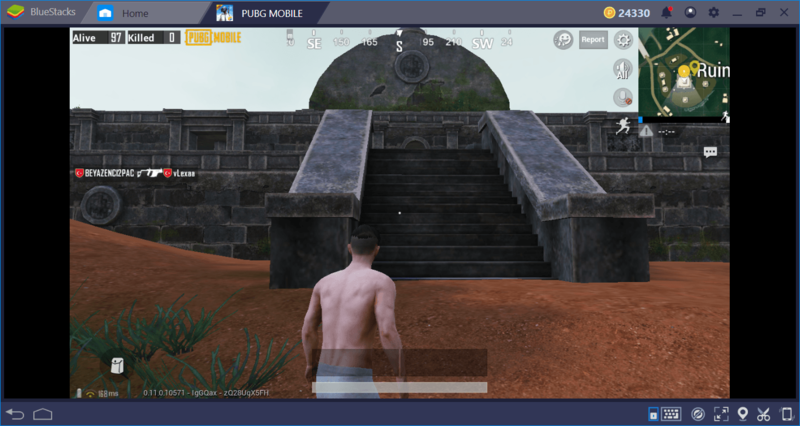 No worries though: Below, you can find everything you need to know about Sanhok including best loot locations and our specific tips and tricks for this map. This depends on how close you want to be to the hot zones at the start. For immediate combat, try to land on Bootcamp or Paradise Resort. Bootcamp is a military zone as can be guessed from the name and you will be able to find a weapon in mere seconds. The problem is, everybody who lands here will do the same – so expect a heavy firefight. Bootcamp also seems to be quite poor in terms of armor, so this will be a battle between “naked” players. Paradise Resort is the better option in some ways: It contains fewer weapons than Bootcamp but offers more armor and hiding places. This boot camp witnessed many bloody battles. Despite the name, this is not a paradise at all. Mongnai is kind of a “secret spot” if you want to collect loot in peace for a while. The loot density is much lower than other zones but they are high quality and nobody will shoot you in the first 5 minutes at least. Moreover, you can head to Camp Bravo from here and get the missing armor parts you will definitely need. The southern mini-island contains the hottest zones (when compared to land size) in general, so we recommend skipping this area at the beginning. 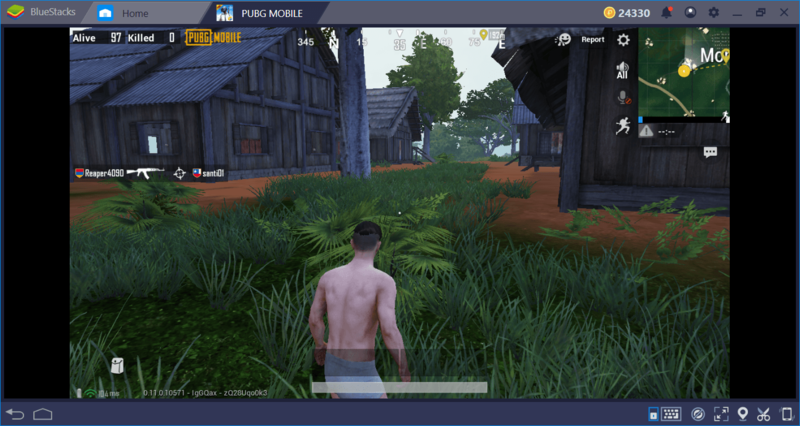 Quite, cozy, and not filled with bloodthirsty players – welcome to Mongnai. Camp Bravo, the place that can offer you lots of armor after visiting Mongnai. The screenshot below shows the loot density in all areas – the higher the number, the more loot you will find. Take a look at it first, then we will give our recommendations. 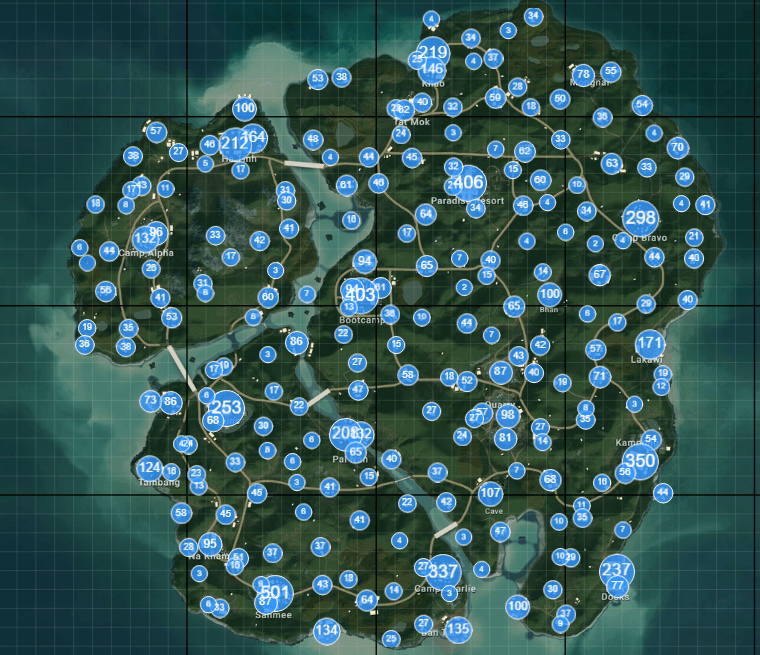 This is not an official map; it is the result of the collaborative efforts of PUBG players. Docks is a medium-crowded region and contains many containers, as expected. The loot usually spawns on top of these containers and most of them are DMR rifles. You will be quite exposed at the top of these containers, so loot quickly and move on. Do not use the towers in here for sniping, there is nowhere to run if you get spotted. If you lack SMGs (and you will want to use SMGs on this map) you can head to Camp Charlie after visiting the docks. 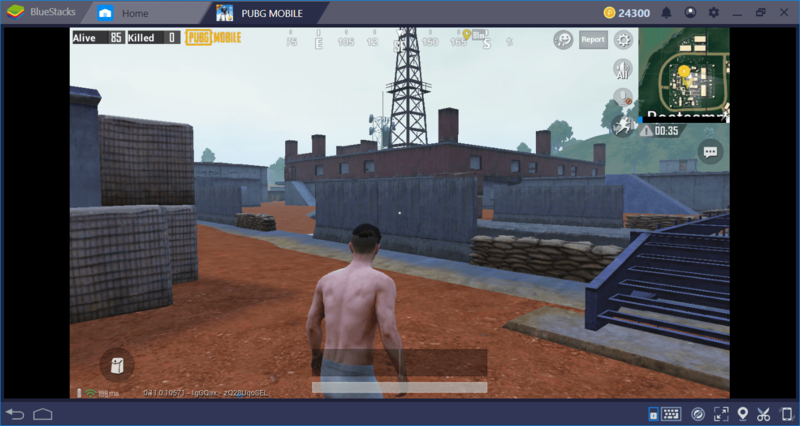 This is another military camp and contains high-level armor pieces and lots of SMGs. In addition, it offers many ambush points. We always managed to find some level 3 gear in the Ruins region, and it is close to another military camp too. Ruins contain many narrow corridors so you can also create good ambush zones in here without staying in the open. The Quarry is also a good place to find level 3 gear but unlike Ruins, it is almost completely open. Lower your graphics settings and try to completely disable foliage and weather effects. 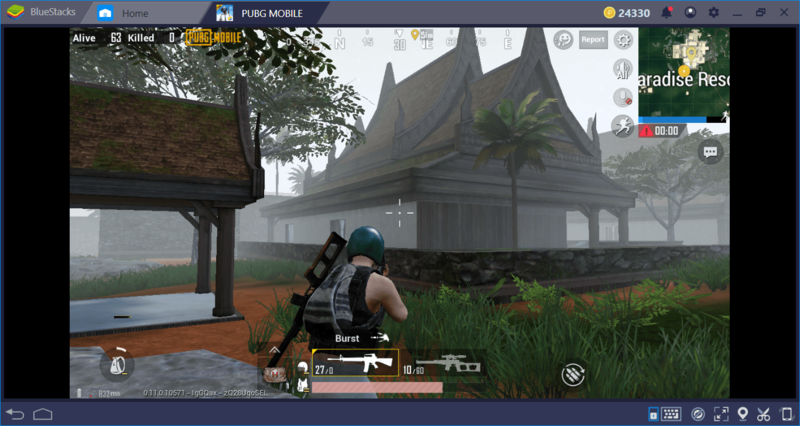 Sanhok is truly a tropical island – rain, sunshine, and mist can be found in different parts of the map. It is also filled with foliage, which makes it harder to spot other players. Disabling all of these graphical effects will give you a clearer view. We know that you cannot disable them altogether, but at least you can lower the density. 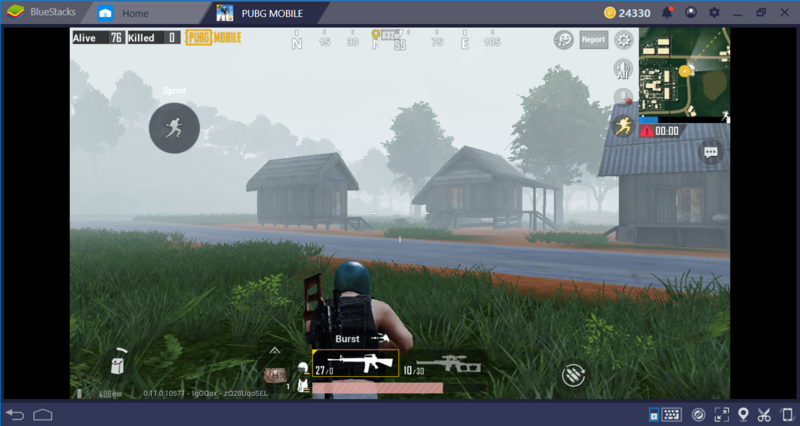 It is raining in this screenshot but this does not make it harder to spot other players, as we lowered graphics settings. Do not use vehicles on this map. 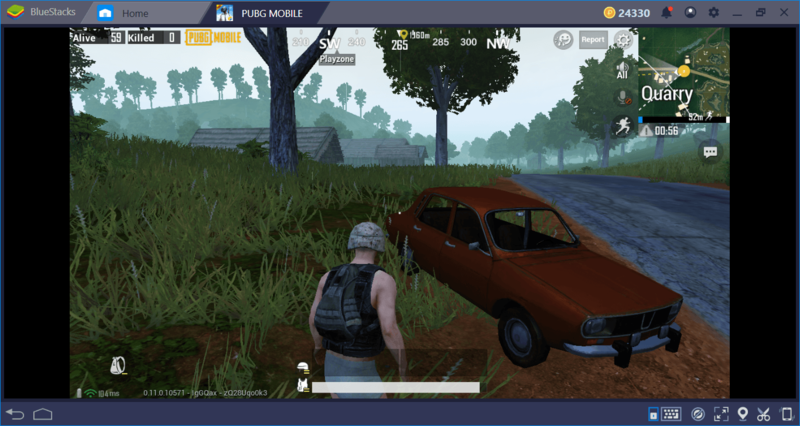 Sanhok is already quite small and using a vehicle will draw all kinds of unnecessary attention. You will find lots of vehicles but again, do not use them or you won’t last that long. 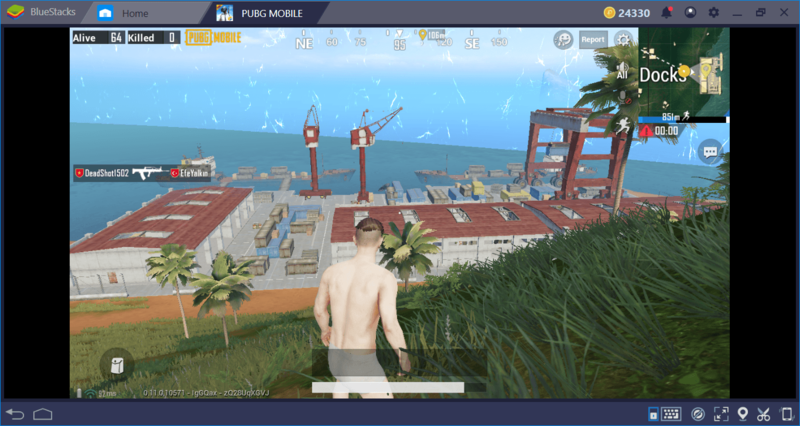 And now, you are ready to test your skills in Sanhok: Jump from that plane and get ready to eat that chicken dinner. 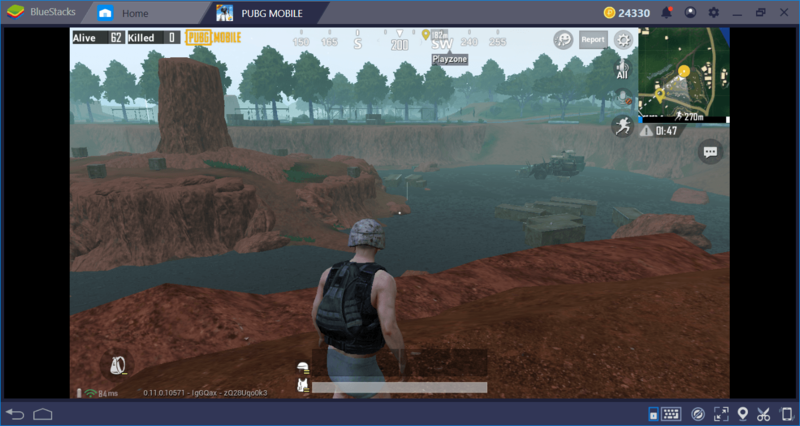 We have prepared lots of other PUBG guides and map review too, so don’t forget to take a look at them. 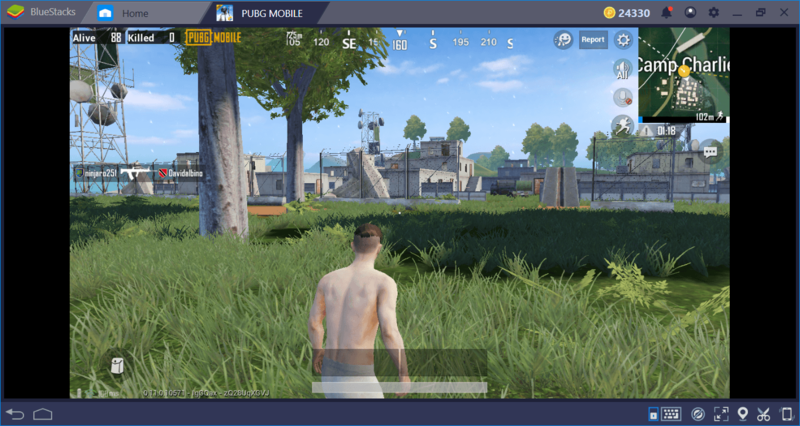 Remember to use BlueStacks features to use your advantage: Never stay still when shooting, use your mouse to aim & shoot, and check your back constantly. Good luck!